Lorraine Healy, award-winning poet and photographer, holds an M.F.A. from New England College and a postM.F.A. in Teaching of Creative Writing from Antioch University, Los Angeles, as well as a Licenciatura in Modern Literature from her native Argentina. Called “one of the finest emerging poets” at work today by poet and critic Alicia Ostriker, Healy combines a solid grounding in the literary canon with an irrepressible playfulness with language and reverence for the natural world. 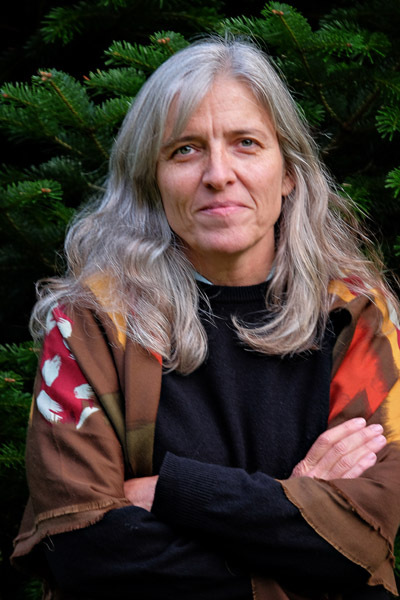 Healy was nominated for a Pushcart Prize in 2004 and was the first poet ever to receive American residence solely on the merits of her work. The winner of the 2009 Tebot Bach Prize, her first full-length volume The Habit of Buenos Aires was published in 2010, followed by the chapbook Abraham’s Voices in 2014. Lorraine’s love for vintage and simple plastic film cameras has led to an extensive writing career in the world of analog photography. She lives on Whidbey Island, Washington, where she is at work on her next poetry book. 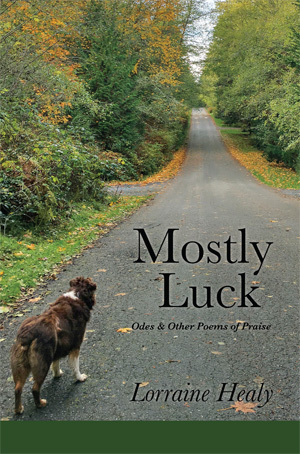 In Mostly Luck: Odes & Other Poems of Praise, Healy draws from the Spanish tradition of Machado, García Lorca, Hernández, Vallejo, and very especially, Neruda, to gaze upon her adopted Pacific Northwest landscape with luminous insight. tiny stunned packages under the ewe’s legs. suckling my fingers with right abandon. on my shoulder when I wake.